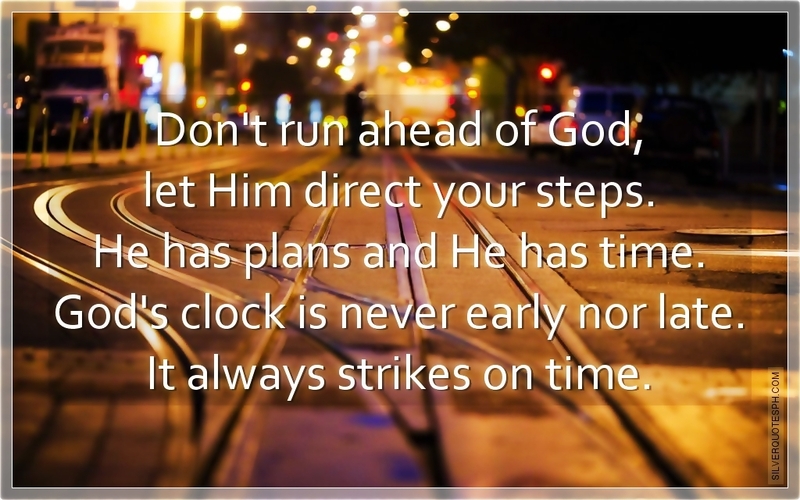 Don't run ahead of God, let Him direct your steps. He has plans and He has time. God's clock is never early nor late. It always strikes on time.